Tag, label, and annotate files (beta). Is there a better alternative to TagoMan? Is TagoMan really the best app in File Management category? Will TagoMan work good on macOS 10.13.4? 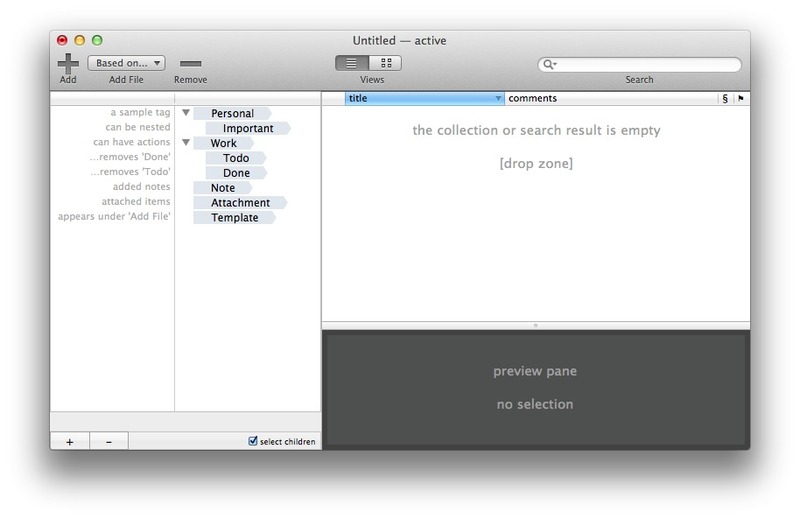 TagoMan helps you organize your files, links and notes using tags. As one can assign multiple tags to an entry, tags can be used to group entries in arbitrary and flexible way without moving documents around. It is also possible to link one entry to another as an attachment. TagoMan needs a rating. Be the first to rate this app and get the discussion started!